Today was the 24 hour summer kickoff event at the Magic Kingdom. 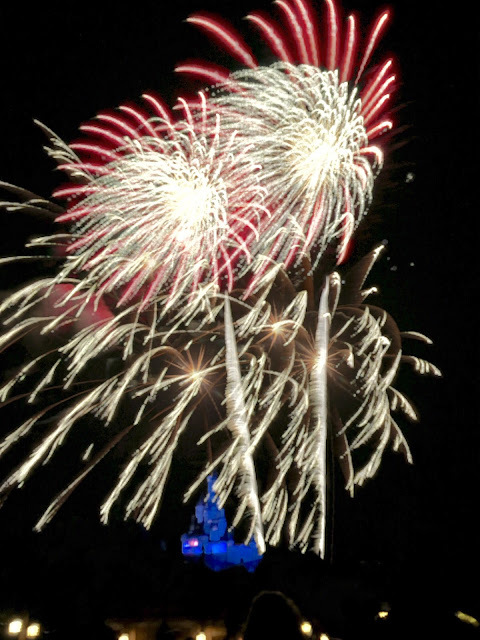 We watched Wishes from my favorite spot near Beast's Castle. This was the first time I had the chance to try out my "long exposure" iPhone app on fireworks. Here is one of the better shots of the night.